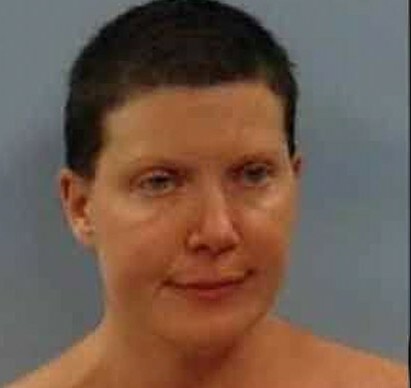 Kes from Star Trek: Voyager aka actress Jennifer Lien is behind bars after cops arrested her for allegedly exposing herself to three children under the age of 13. She was previously arrested in April of 2015, in Harriman, Tennessee and charged with evading arrest, resisting arrest, reckless endangerment and aggravated assault. TMZ report that two weeks ago Lien was at her Tennessee home when she got in an argument with her neighbor outside her house. She was angry that a small child was crying over a cut foot. Lien allegedly exposed her breasts and rear end to the 3 neighbor kids. Cops took a report and Lien denied exposing herself. But they didn’t believe her and got a warrant for her arrest. When cops went to Lien’s house to arrest her she didn’t go down without a fight. Cops say she refused to put clothes on, was carried to the police car and threatened to have them shot and killed. Lien has been in jail since her arrest Sept. 3. Her bond is set at $2,500.